We all want to pamper our pooch! 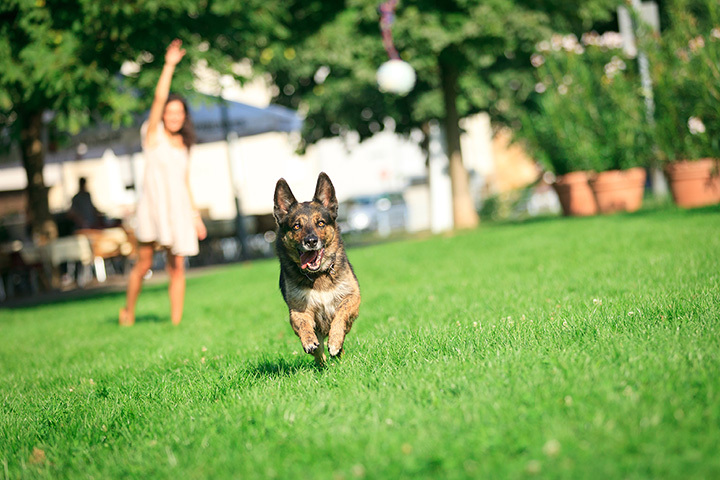 Let your dog off the leash in some of these top Rhode Island dog parks. Meet up with fellow dog lovers as your pets frolic about and who knows? They might even make some of their own furry friends. Dog walkers love this rural environment to walk their dogs! Your small dog will be safe there, too, as there are two sections that separate where big dogs and small dogs play. This is a fantastic off-the-leash dog park on Providence’s East side. Maintained and started by the community, this dog park is managed by volunteers, so make sure to clean up after your pets. Dogs love getting a bit of daily interaction at this fun park! The area is grassy with some dirt patches, but otherwise the park is generally clean. One rule to be mindful of: there is a certain area where children under the age of nine are not allowed! This park is held together by a sense of community. Locals who like to talk and share dog tips frequent this popular spot. The park is BYOW (bring your own water), but if you forgot, no worries. There will always be someone there to help you out. While this may not be an official dog park, it may as well be given that so many people frequent it! Let your dog run free in these beautiful wooded areas and take a stroll along their walking paths. With fencing all around this park, you can feel safe letting your dogs off the least. In the summer, it’s nicely shaded so that your dogs don’t overheat, and occasionally you’ll find a farmer’s market nearby! The Warwick City Park has everything, including biking and walking paths and great views of the water! Adding to that list: A great little dog park! The ground is a little sandy, so make sure that you clean your pup up afterwards. After a few months of work on this dog park as the East Bay Bike Path was expanded, this park is back and ready for spring. Not far from India Point Park, dog-owners rave about its incredible location and the wonderful setting along the Seekonk River. Amidst the Newport manors and tennis courts, you’ll find this little dog park tucked away. The people who come and the dogs they bring are always friendly! Though in the rain it can be a bit muddy, the benefits are that this park is fenced in and fairly well maintained. Also known as Ninigret Dog Park, this is a nice, grassy spot that locals love! It’s not usually too crowded, and so both your large and small dogs can take long runs around the area. View more Rhode Island Dog Parks.